When we think about our company today, we consider JJF as one of the cornerstones to our success, not just for his amazing surfing ability, but also for his loyalty, his humble attitude, his gratitude, and his positive outlook on life. We didn't start this all to become a giant company, putting out as many "units" as we could, we started it because we love surfing and everything that goes with that - travel to new lands, great friendships, adventure. But most of all we started this because we love surfboards! 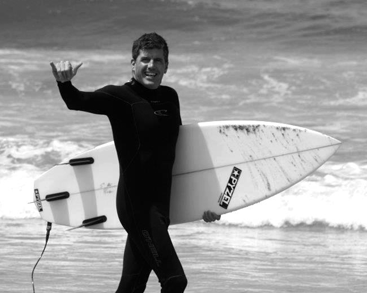 Today Pyzel Surfboards has grown to be an international business, but is still run by the family. Jon and his wife Dali live on the beach in Hawaii with their 2 daughters, and help run the Pyzel Surfboards factories on the North Shore and in Oceanside, CA. We take great pride in every board we build, and do our very best to make sure that our customers are getting exactly the right board for what they want to do. We have licensees in 7 countries around the globe, and Jon shapes in Australia, Europe, Brazil, Japan, Indonesia, South America and California. Pyzel boards have also won:2017 World Championship, 2016 World Championship, 2016 Eddie, Triple Crown x 3 , Jaws x 2, XXL Paddle x 2, XXL Tube of the Year, Backdoor Shootout x 2, Wave of the Winter x 2 or 3, Steep and Deep Chalange 2016, Portugal CT, Rio CT x 2, Haleiwa Hawaiian Pro, Sunset Beach World Cup and many, many !